As soon as it was daylight, we made our way out of the dirty AirBnb accommodation to confirm our book at Shibuya Hotel En for the next 2 nights. The hotel is about a 5 minutes walk from the apartment and looked good from the outside. Check-in was about 3 in the afternoon so we decided to explore Shibuya till check it time. Unfortunately we could not begin our shopping spree instantly as it was raining, so we decided to have breakfast at Tully's Coffee and find some reprieve while the rain lessened. Tully's Coffee is somewhat like Starbucks or Coffee Bean where sandwiches, cakes and coffee / tea are served. The area is not very large, and with the warm woods being used as part of the decor exuded a warm and cozy ambience. 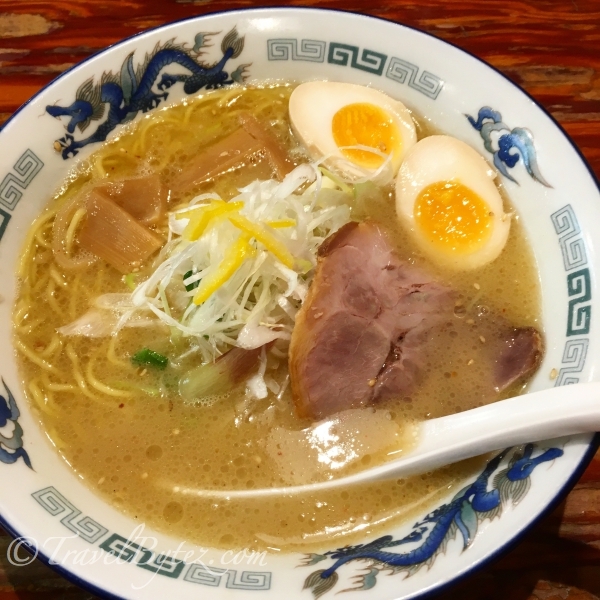 Ordering was a breeze and the counter staff's command of English was good enough to make the experience pleasant. M had a wrap with coffee, while I had a simple sandwich and iced tea. There were not many customers in the morning so we managed to get a seat near the windows. While we ate and waited for the rain to ease up, 2 hours had already gone by! With the rain gone, time for shopping! 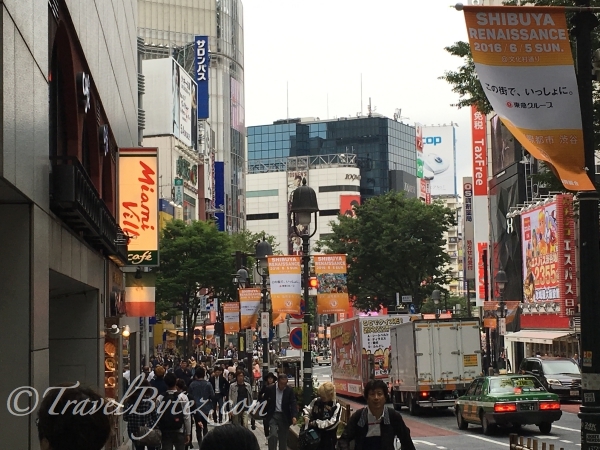 Shibuya 109: This shopping mall boasts to be dedicated to women's fashion and beauty products on more than 10 floors, starting from levels B2 to 7. However, other than overpriced young fashion (for those probably between 15 to 25 really into "kawaii" and sweet clothes), you can buy similar and for less in Bangkok. I don't think there was anything that outstanding out this mall. While it has 10 floors, the mall is pretty narrow and definitely not large. We were done browsing within 1 hour. 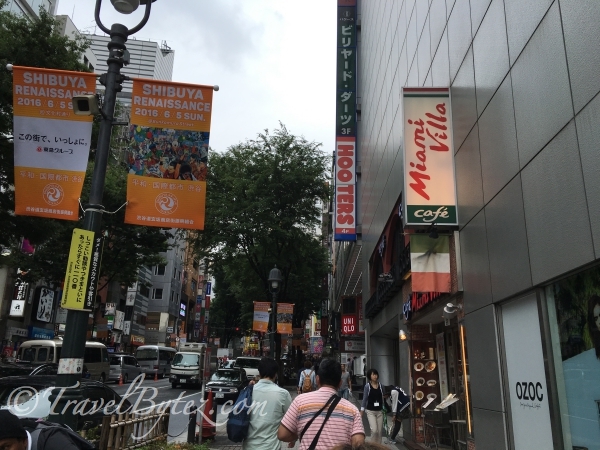 OIOI (Marui City Shibuya): The items sold at this shopping mall were more high end than Shibuya 109, and the prices are more justified. We bought a couple of interesting beauty products here. Uniqlo: When we visited, the prices did not seem very much different. What was different was that there were more designs (e.g. Disney characters themed clothes) available. 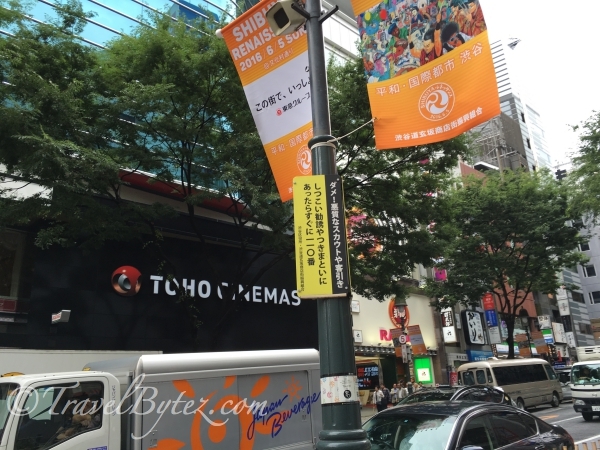 We also went to the Shibuya Center Street where all the fashionable brands (e.g. Forever 21) and accessories are located, also many delicious eateries. 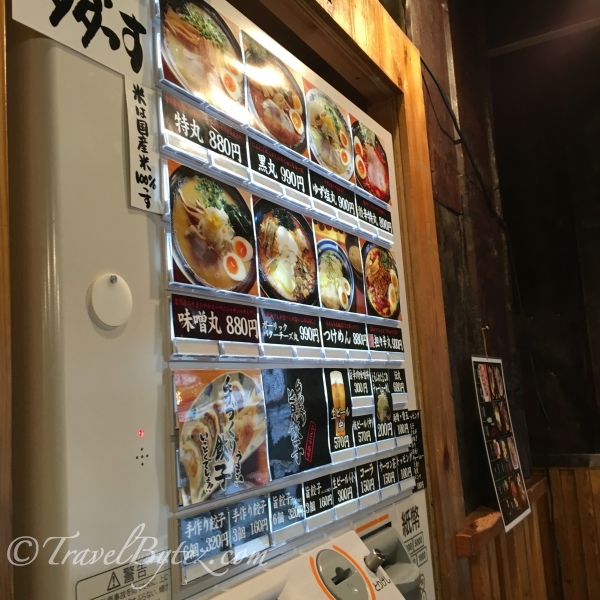 We walked past many mouth watering eateries, and decided on some simple fuss-free ramen at those self-ticketing ramen shops which are everywhere. 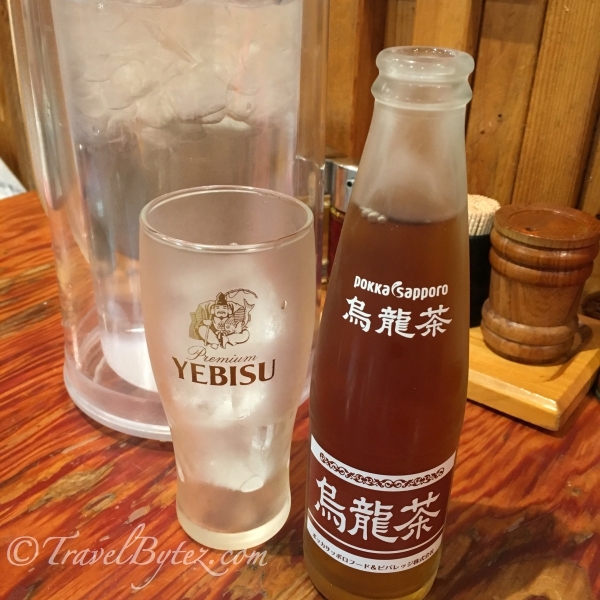 That's not beer, its oolong tea! 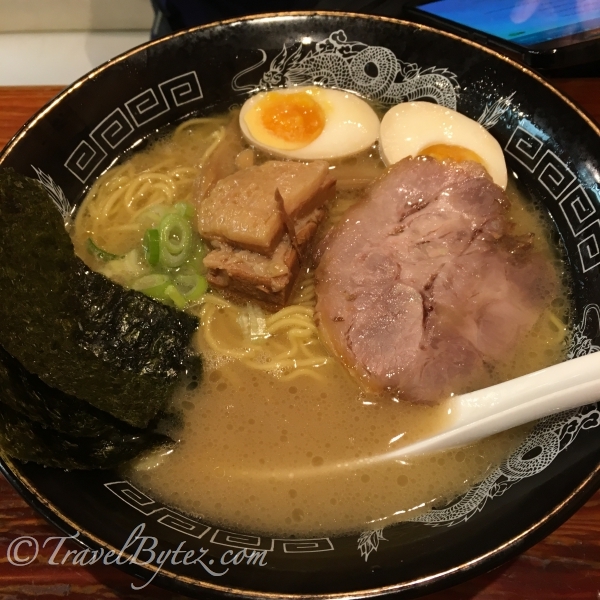 By the time we were done with lunch, it was time to check-into the Shibuya Hotel En. So back to the AirBnb apartment we went and lugged our luggage down the slope to check in. 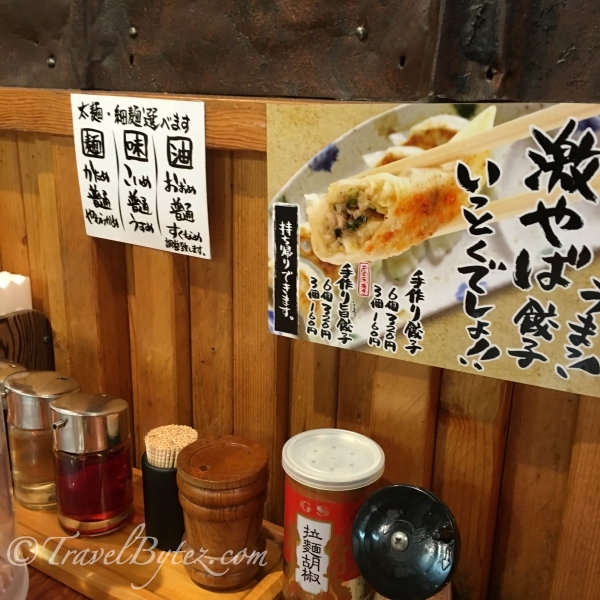 After settling into our hotel room and putting aside our loot from our shopping spree, we rested a bit before we continued the next leg of the adventure - Shinjuku!